SHOWING AT THE DUKE OF YORKS 18TH JULY 2010 - come and watch it with a beer! Life in the notorious favelas in Rio de Janeiro is tough, with its immense poverty, drug crime and violence on every corner, but if you look out over the horizon you are met with views of some of the world's most beautiful beaches, replete with the stunning ocean perfect for surfing. 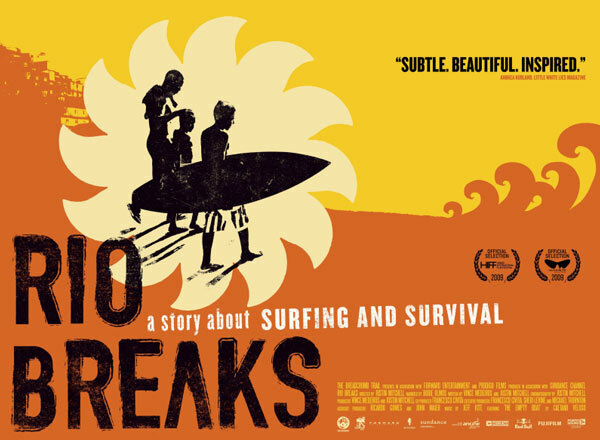 RIO BREAKS is the moving feature documentary that follows the story of two best friends as they try to escape the pitfalls of life in the slums by riding the waves on their favourite beach. 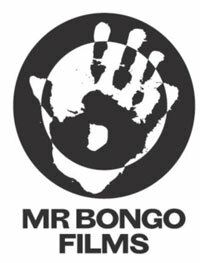 RIO BREAKS is directed by Justin Mitchell and is released in cinemas on 3 June 2011 from Mr Bongo Films. 13-year-old Fabio and 12-year-old Naama live at Favela do Pavao, an enormous slum near Arpoador Beach, in Rio de Janeiro, Brazil. Pavao is home to Commando Vermelho, or Red Command, one of Rio's most heavily armed drug gangs, who rule the community. Their presence is ubiquitous, with gun-toting "soldiers", mostly teenagers, patrolling the hills and shooting a warning every time a police car comes into sight. Raised by illiterate grandparents, Fabio cannot read or write and rarely attends school. He is a prime candidate to become involved in Rio's drug war. His best friend Naama lives nearby and although brought up on the streets he goes to school and wants to become a sporting champion. Arpoador Beach is the birthplace of surfing in Brazil and holds some of the best waves in Rio. It's where the favela kids go to surf to escape from the poverty and violence of the hills. Under the watchful eye of Rogerio, the Favela Surf Club offers a sense of community and belonging away from the hardship of everyday life. Surfing gives the kids a water-bound freedom and a hope that they can become the next world champion. In Rio surfing can save your life. Can the boys win the next competition and escape a potentially grim future?